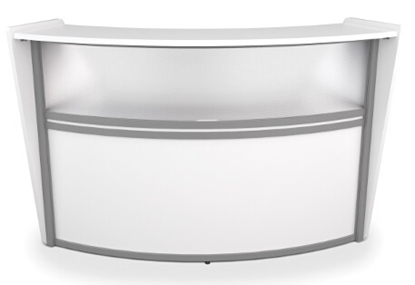 Wow your customers with a stylish, high-quality, yet affordable reception desk. 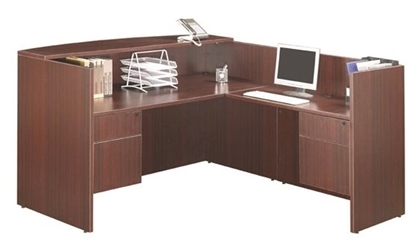 Reception desks are important for first impressions as it's often the first piece of office furniture they see. 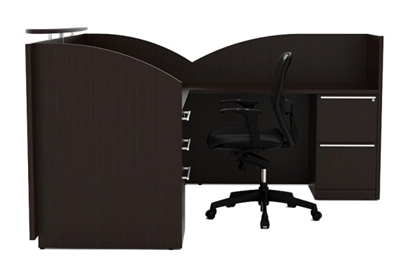 Find an assortment of receptionist stations from small reception desks to L shaped reception desks to U shaped reception desks and more at affordable prices. 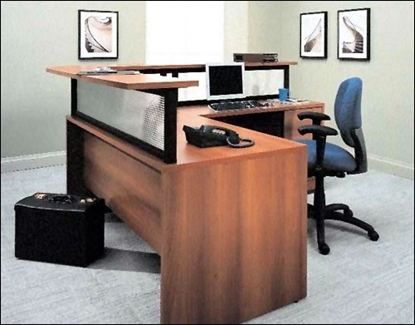 We have a wide selection of reception desks for business offices, hotels, lobbies, salons, restaurants, medical offices and more. 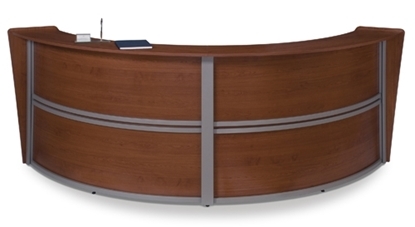 Make a great first impression with this Marque reception desk from OFM. 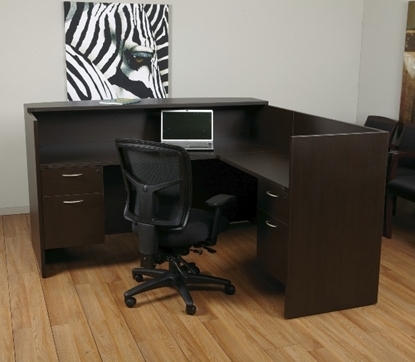 In four beautiful finishes and easy to put together, no tools required! 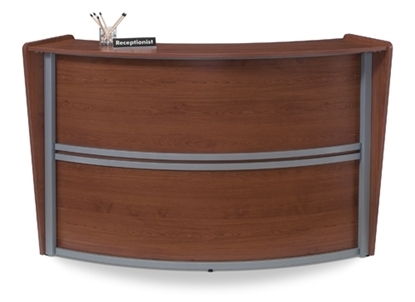 Create a welcoming reception area with a Genoa L shaped reception desk complimented with functional divide surface mounted panels. 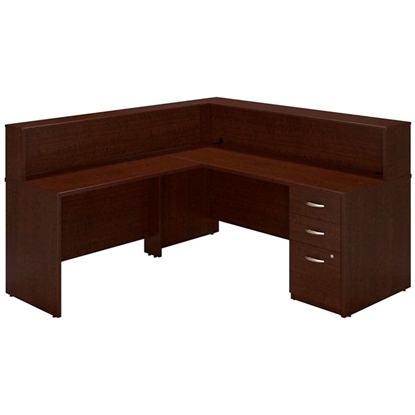 Features a clean, contemporary design and eco friendly construction. Choose from our wide selection of waiting room chairs for a fresh new look. Order today and get free shipping!